If we as a nation want to experience the blessings of God we must follow the instructions found in 2 Chronicles 7:14 to humble ourselves and pray. When a nation becomes proud humbling themselves is the first step to returning to God. Prayer is the second. Why? Because we have to humble ourselves – realizing that we are not in charge – in order to express solemnity, reverence, adoration, supplication and thanksgiving. We must expose our hearts to Him and surrender. 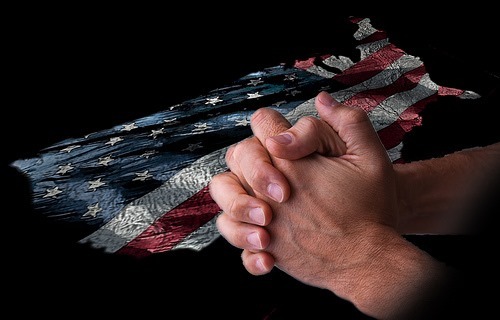 In our daily lives I know many of us pray – But how often do we pray for our nation to be saved? Do we pray for God to reveal to us the moral, virtuous, and godly men and women we need to lead our nation back? Do we thank God for the many blessings he has given us as a people – as a nation – over the years? National Day of prayer is approaching in May. It is an opportunity to gather in our local communities and lift our voices in prayer and supplication. Will one day of prayer solve the problems? No. But it is a beginning, a step in the right direction. I would encourage you to find out where the closest event is and join in. To whom much is given, much is expected. If we as a nation and as a people want the blessings of the Supreme Being to once again flow over our nation, we must be prepared to follow the instruction He gives us in this verse. He makes a promise in this verse which I cling to and believe in so deeply. He is showing us the way back to Him. Question is, will we listen? I believe it is a little to late for America to be saved and do not at all feel prompted to pray for it as a nation as a whole rather for souls to be saved from it’s evil ways and soon coming destruction by the hand of God himself. 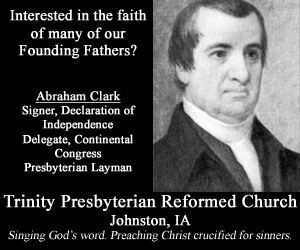 As a Christian I have always hated the way of stating God Bless America for it represents nothing but worldly pride and superiority which has led to its own demise and destruction from within. I pray more for God Bless Uganda or God Bless Burmah where people are really suffering and oppressed. America is only suffering from what itself has created and is paying the price for. If we were truly aware we would realize and see America as America no longer exist in the very first place so why on earth pray for it as one nation under God rather for the people there of which I do but not for the nation itself. Regardless of whether Mitt Romney wins or Barack Obama wins God’s sovereignty has not changed. He is in control.